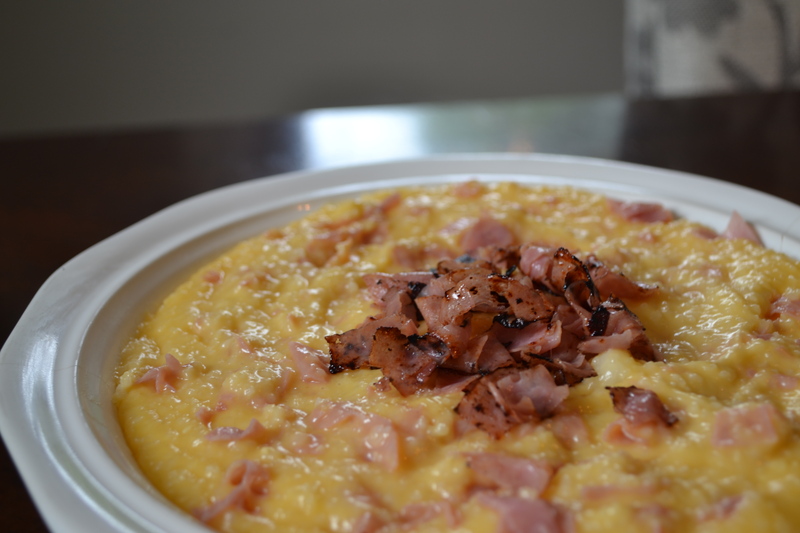 Chop the chipped ham coarsely, saute in a pan, and set aside. Add the grits , reduce heat, and cook 5-7 minutes or until thickened, stirring occasionally. Stir cheese and butter in slowly until melted. Add the chipped ham and garlic salt and stir until combined. Optional: Save a little bit of ham to garnish the dish. Serve immediately. Makes approximately 4 servings.